Hello, My name is Emilie (Emmy). 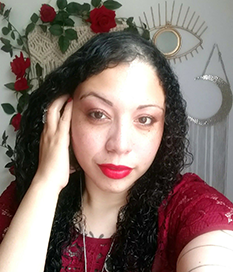 I am a Newyorker Latina with a passion for Tarot. Who has a love for helping others through my gift of divination and my intuitive abilities. Are you looking for a light at the end of the tunnel and are need of direction? I understand so many before you have come to me in search of that light that felt not many could understand them or their situation. I gave them clarity, helped them in making the best choice, insightful information on what to expect and helped them let go of situations which no longer served them. An intuitive tarot reading with me is much more than just predictions. When you’re having an intuitive tarot reading session with me you can expect to be speaking to an experienced spiritualist reader (over 20 years). I incorporate The Saints, The Angels, my divination intuitive gifts plus my own guides to help you resolve your dilemmas. If this sounds like something you need I invite you to have a private one on one phone session with me. Let’s connect and let me help guide you in a nonbias way with whatever situation that is occurring in your life. My Background: I am a people lover and many say a down to earth new yorker. Through my own personal trials and tribulations as a person (which I have had many), I feel that it has helped me to be very compassionate and understanding unbias person. As an Espirista, I work closely with the angels, The Saints, and God. I also heavily believe in the power of prayer, offerings, and devotion to the Saints. These things I believe will achieve enlightenment, protection, special request granted by the Saints and blessings. Aside from reading tarot cards, I have also embraced Angel Oracle cards, dice readings and coffee cup divination. I also am a blogger, have done live events in NYC and worked in local shops. I have over 20 years of Tarot Reading Experience. I became a full-time tarot reader in 2009. From 2016 to currently I am the Usgames, INC ( one of the largest Tarot publishers one in the world) Tarot reader for their NYC NYNOW trade show in Manhattan New York. I have read for thousands of people with a full track of clients and written feedback online. Are you looking for an authentic tarot reader to help you? I am here to help you. Hi, I am Emilie (Emmy) I am a professional tarot reader from NYC who is well versed in tarot divination, lenormand divination, Coffee cup divination, dice and more. I am a spiritualist and combine my divination readings with my intuition to give you the most accurate reading. I offer specialized phone love tarot readings, In-depth phone tarot readings, and also offer regular phone tarot readings where you can ask all that your heart desires. In-Person readings and events are only available at selective times/seasons. You can read my bio here and read my clients feedback here. ⚜🔸Discount: Claim your $10.00 Off your first phone tarot reading here. Subscribe below ⇓ to gain exclusive discounts, FREE downloads, and info on my in-person upcoming events.